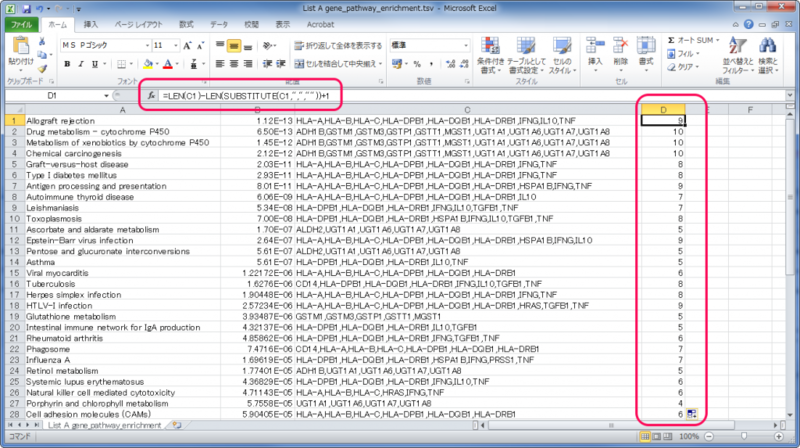 You can export the enrichment analysis results. Select all or choose the enriched items you want by clicking on the checkbox. Then click the ‘Download’ button to save it. Choose the enriched items and click ‘Download’ to save it. The result will be saved as a tsv (tab separated value) file. You can open it with any text editors (e.g. Notepad, Emacs) or spread sheets software (e.g. MS Excel). 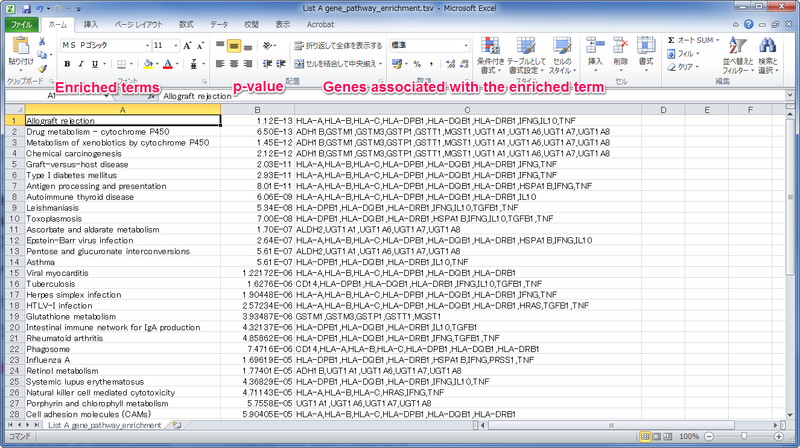 If your want to get the number of the genes associated with the enriched term (like the last column in the widget), you can use the functions in MS Excel. Input the following equation in the D1 cell and replicate for all column D.
The you can get the results shown as follow.